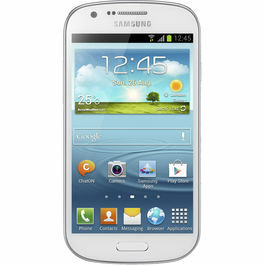 Bring home Samsung Galaxy S Duos, a sleek and stylish phone loaded with state of the art technology and features. 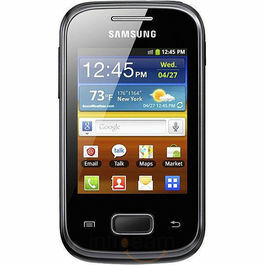 This phone is specially meant for serving dual purpose of keeping your personal and professional life apart. View detailed pictures and videos on this phone’s wide 4.0” WVGA TFT screen. This superb screen supports WVGA 480x800 resolution that can display almost 16M colors so that you can have life like clarity of everything. Explore the world of Samsung with speed and efficiency. Switch between applications with ease. This phone is built on the Android 4.0 operating system and runs on the 1GHz processor. 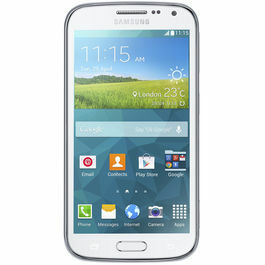 You can experience high-speed internet connectivity on Samsung Galaxy S Duos; as it is enabled with Wi-Fi. The other connectivity options offered by this phone are Bluetooth, micro USB and USB 2.0. To enhance your experience, the phone is preloaded with various Google mobiles services such as Gmail, Google Search, Google maps, Google places, Google Play store, Google Latitude, Google Plus, YouTube, Google Navigation and Google Talk. Keep in touch! With the ChatOn application, you can stay connected with your contacts at any time across various platforms and devices. Whet you musical appetite! The Music Player with SoundAlive is sure to make you enjoy the rich experience of listening to your favorite music. You can also tune into FM radio with RDS, whenever and wherever you are. 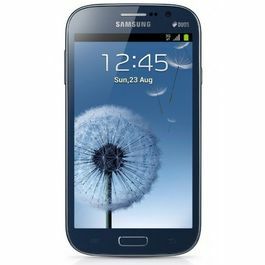 Excellent image quality is ensured by the Samsung Galaxy S Duos; as it is enabled with a 5 megapixel camera with LED flash and a front VGA camera. So keep on clicking the best moments of your life! The phone has enough space to build your own library of important data, music and videos. Its memory capacity is 4GB, which is expandable up to 32 GB. 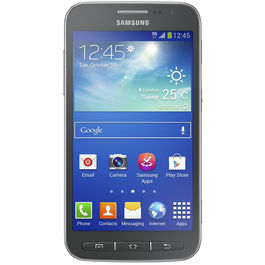 Bring home Samsung Galaxy S Duos, a sleek and stylish phone loaded with state of the art technology and features. 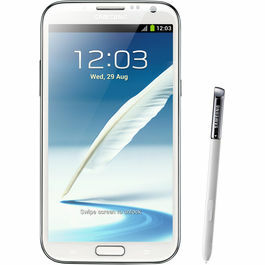 This phone is specially meant for serving dual purpose of keeping your personal and professional life apart. 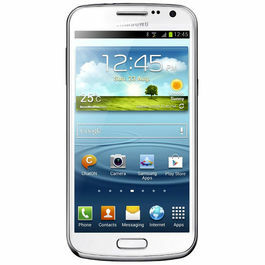 Display Sparkling Display View detailed pictures and videos on this phone’s wide 4.0” WVGA TFT screen. This superb screen supports WVGA 480x800 resolution that can display almost 16M colors so that you can have life like clarity of everything. 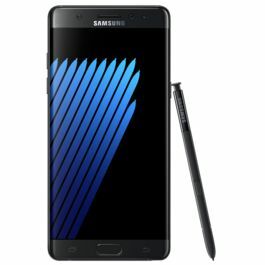 Operating System Super Powerful Android phone! Explore the world of Samsung with speed and efficiency. Switch between applications with ease. This phone is built on the Android 4.0 operating system and runs on the 1GHz processor. Connectivity You can experience high-speed internet connectivity on Samsung Galaxy S Duos; as it is enabled with Wi-Fi. The other connectivity options offered by this phone are Bluetooth, micro USB and USB 2.0. To enhance your experience, the phone is preloaded with various Google mobiles services such as Gmail, Google Search, Google maps, Google places, Google Play store, Google Latitude, Google Plus, YouTube, Google Navigation and Google Talk. Keep in touch! With the ChatOn application, you can stay connected with your contacts at any time across various platforms and devices. Multimedia Whet you musical appetite! The Music Player with SoundAlive is sure to make you enjoy the rich experience of listening to your favorite music. You can also tune into FM radio with RDS, whenever and wherever you are. 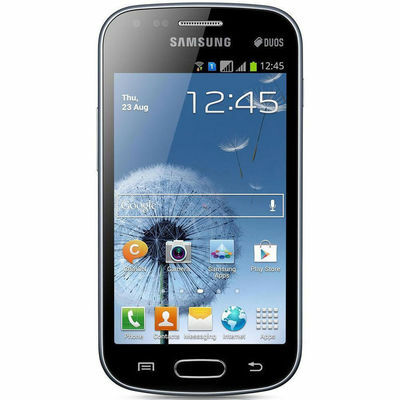 Camera Excellent image quality is ensured by the Samsung Galaxy S Duos; as it is enabled with a 5 megapixel camera with LED flash and a front VGA camera. So keep on clicking the best moments of your life! Memory The phone has enough space to build your own library of important data, music and videos. Its memory capacity is 4GB, which is expandable up to 32 GB.